Whether you are an internet marketer, affiliate marketer or just joined a network marketing program, beginner or more experienced in the field, you must have heard about Matt Lloyd and its My Online Business Empire or MOBE for short. Matt Lloyd, born in Australia and raised on a farm, as a child, succeeded in creating MOBE in 2011, solving maybe the biggest problems in online marketing and helping thousands of entrepreneurs. Now, at an early age, he has achieved to master an 8-figure per year business. After months of learning and investing, results finally appeared for Matt Lloyd. 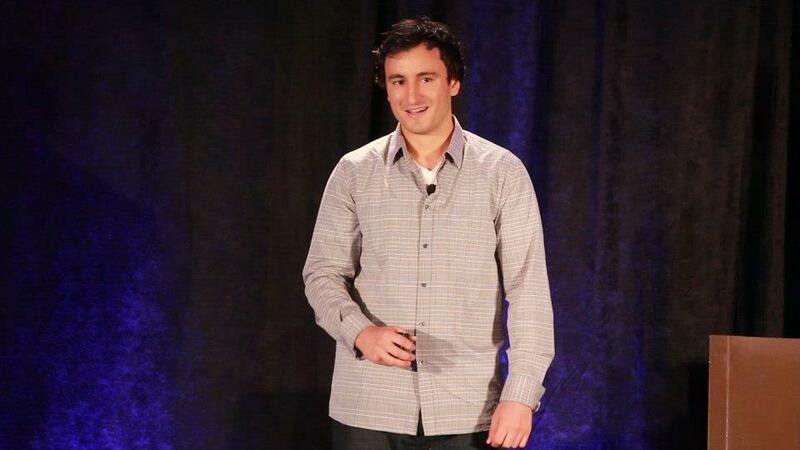 At the age of twenty five he made his first million dollars, through the help and powerful source that is the internet. Then, in 2011 he set out to create the premier home business company in online marketing, My Online Business Empire or MOBE. This is a system that offers people valuable information about what they need to know when starting an online marketing business. His system is of great help because it teaches, rather than having people wasting months or even years trying to succeed and most likely failing over and over again. So what did Matt Lloyd actually create? A marketing educational business company that sells informational products and is focused on coaching and guiding, unlike other companies in the industry of marketing. Some might wonder why his creation is different from the competition. He started out trying to help others and preventing them from repeating his own past mistakes and his own past failures. This current marketing leader never tried to attract people with so called business secrets, potlucks or promises of fabulous amounts of money gained without hard work and commitment. He declared to the people that his system is about marketing and provides methods on how to generate leads with success and that his system is an online training program that provides coaching and guidance on how to successfully run an online home business. So, his program doesn’t show hidden secrets, just techniques that actually work, applied adequately. Everyone who joins his program, for free, will benefit from training and guidance, and more importantly, from practice. Many online marketers have created, unsuccessfully though, websites that have failed from the beginning. They cannot be found easily through the most common search engines. Also, they only activate in one niche, that is or in time will become saturated. And these are just some of the elementary problems that entrepreneurs have to confront, along with the questions like how to find potential customers online, how to come up with fresh idea that will be well received or how to create a functional plan that will bring him multiple stream income. Fortunately, Matt Lloyd has given his partners the resolution to all of these nagging questions and problems, through his unique My Online Business Empire product. – My Top Tier Business: The most popular product and a low price to begin with. This is created as a start for beginners, as an intro of what is to follow. The course is preceded by an application form and scheduling the first coaching class. There will be an interview first, to realize if you are fit for the 21-steps My Top Tier Business program. The advantage of this program is that it allows you earn 50% commission from sales under 500 dollars. – MOBE Licensing Rights: When you invest, you become a franchisee of this company and your commissions will obviously rise. You will be entitled to 90% of front-end commissions and up to 50% back-sales commissions. Additionally, you will receive top quality extra products, to help you in your business. – Titanium Mastermind: is available only to MOBE Licensing Rights holders. Its value is, of course, higher, paid as monthly fee. This Titanium Mastermind offers a 3 day annual retreat for two persons (you and another person of your choice, but not someone who is also in My Online Business Empire)), free access to other valuable life changing products and services. – Platinum Mastermind: is only available for the Titanium Mastermind holders. Is is also paid as a monthly fee. It offers a 6 day annual retreat for two persons (again you and another person of your choice, but not someone who is also in My Online Business Empire). In addition, you will benefit, besides the 6 day retreat, of exclusive access to products and services that will improve your vision, mentality and business spirit. These are to be followed by future Diamond Mastermind program. All these products, patented by Matt Lloyd, give the purchaser clear and concise information, without forcing people to buy extra materials. These programs are split into valuable lessons, comprehensive even for those who, at the beginning, do not have a marketing culture. There are valuable advantages created for those who decide to become partners of this company. Additionally, there are many free articles, materials or blog posts that Matt Lloyd writes himself and shares with the world and for the world. At a simple search on the most common search engines, like Google, everyone can read about business strategies, case studies, internet marketing, musing and entrepreneurship, all articles written in a comprehensible and friendly tone. So, to sum up, Matt Lloyd and his My Online Business Empire, or MOBE, as he calls it, are at the peak of success and in the attention of the audience today. This internet marketing leader has achieved so much, from an early age, and is not yet done sharing his guru-like lessons with us all. All this hard work, his successful rise and business and marketing brilliant mind have accomplished a great differentiation from most of other entrepreneur and has earned rightfully the attention and credit in the online marketing branch. Like Matt Lloyd other wide Industry leader & Earner.